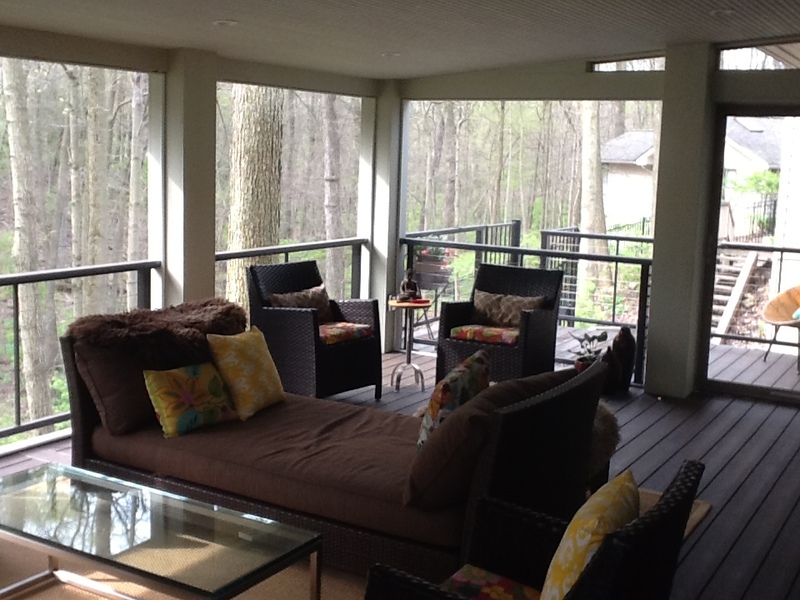 Archadeck of Columbus explores the design and color trends in synthetic decking for 2013, what’s hot, what’s not and the importance of choosing the right decking material and color to express your style. 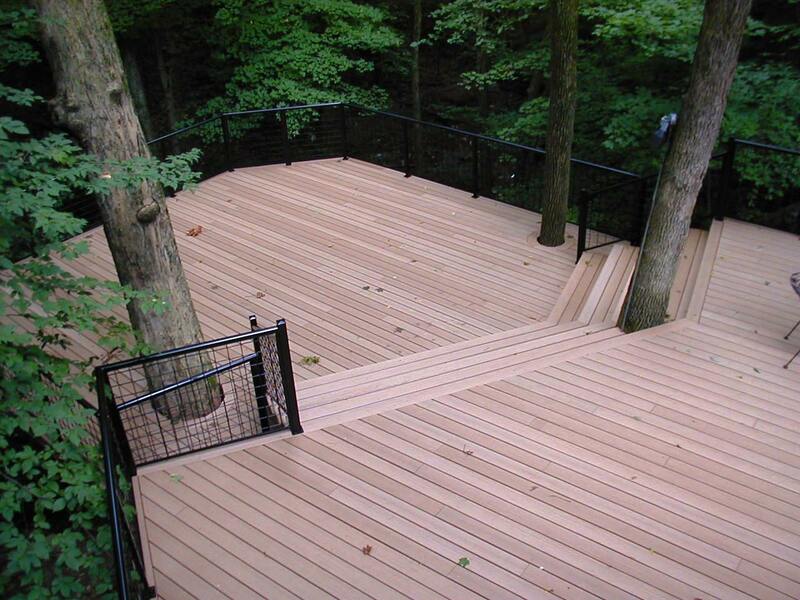 Choosing the right color for your new synthetic deck can be a daunting task, we can help. 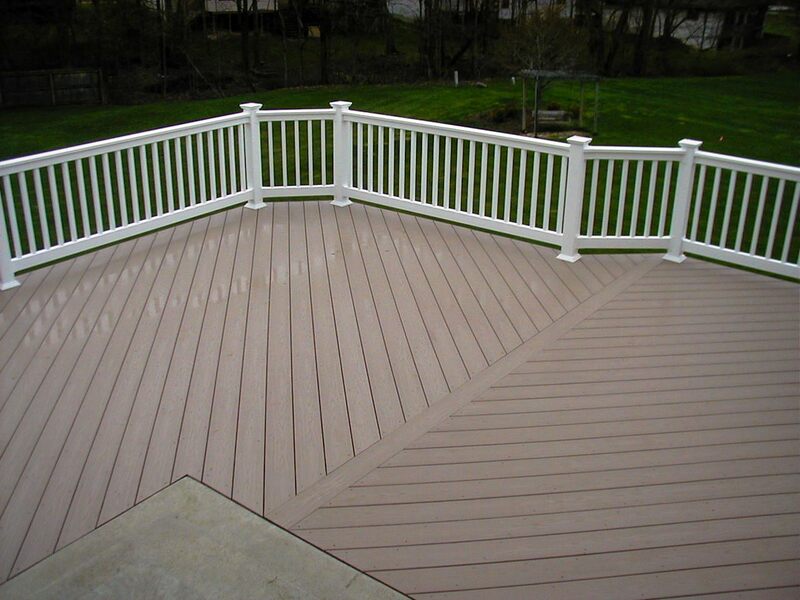 Choosing the right color for your new synthetic deck can be a daunting task. Colors in general are a very personal detail of any project. In most cases homeowners will make their color selections based on complimenting the deck color to that of their home or contrasting with their home. Each of these approaches to choosing a color for your deck can be quite powerful, but therein is where the problem can lie; choosing the right hue even when dealing with neutrals can open up a wide spectrum of choices. Too many choices can lead to confusion and uncertainty. Nowadays, brown is more than just a singular shade. There are a wide range of browns that start from light to dark and everything in between. 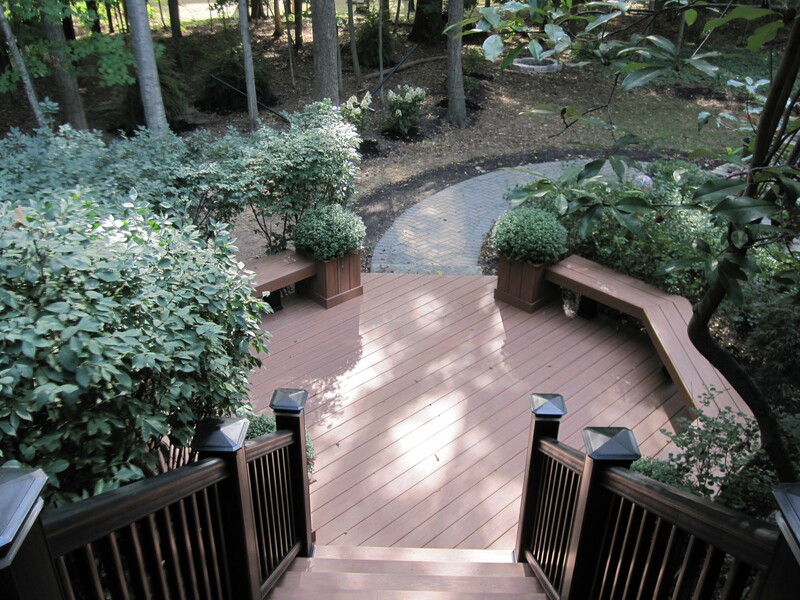 With synthetic decking, there may be a dozen natural tone options. 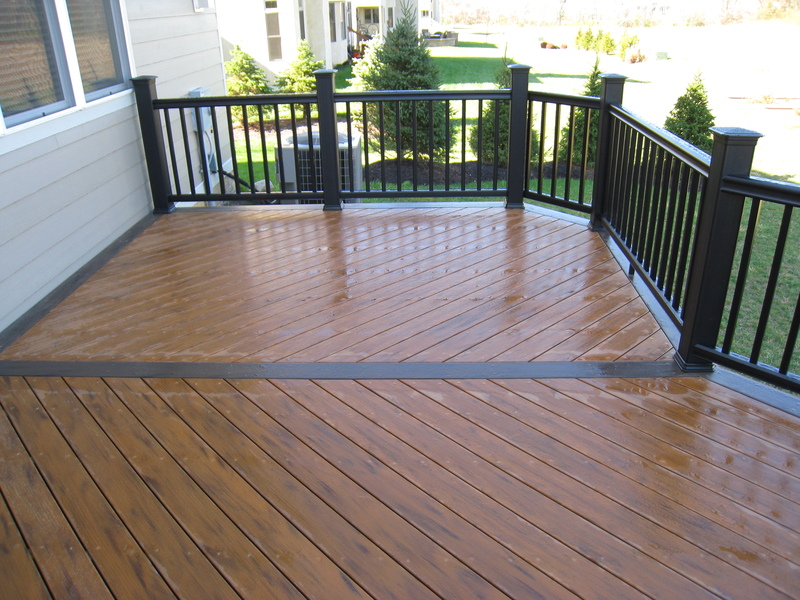 If you can’t match the color of your new deck perfectly to the color of your home, don’t fret. Most houses have basic colorations of brown, gray or white, whether these colors are part of the hues in your masonry or whether they are the colors of your siding or trim. If your home has white siding for example, white is the perfect companion to any color you choose for your synthetic decking. 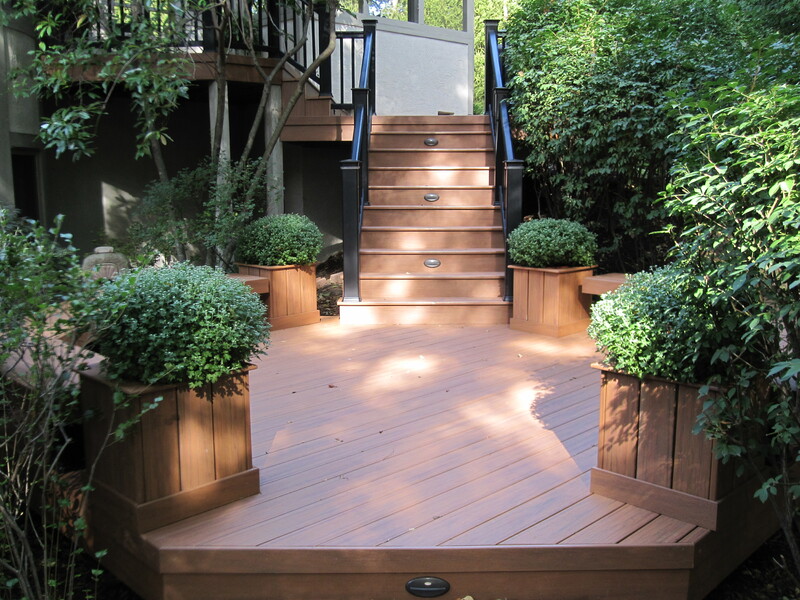 This deck was completed in Walnut from the TimberTech Earthwoods Evolution line of decking. Even though the New Year has just begun, we have already seen new color trends emerge from some of the top synthetic decking manufacturers. We work closely with these companies to keep homeowners “in the know” about what is new, what is popular and what we foresee as being hot for 2013. Some of the up and coming colors are brown hues, which also include streaked colors that give the decking a more exotic feel closer to the look of natural hardwoods. With brownish tones, there are numerous choices such as light browns and dark browns that mimic the look of Walnut which is really popular right now. Walnut in the TimberTech Earthwood Evolutions line is highly requested among our customers, as well as Walnut Grove which is a TimberTech XLM color. The only drawback to using a dark brown is that they indeed show dirt more easily than a lighter brown, much like a dark colored car seems to get dusty more often. Dark colors also retain more heat and are hotter to the touch. 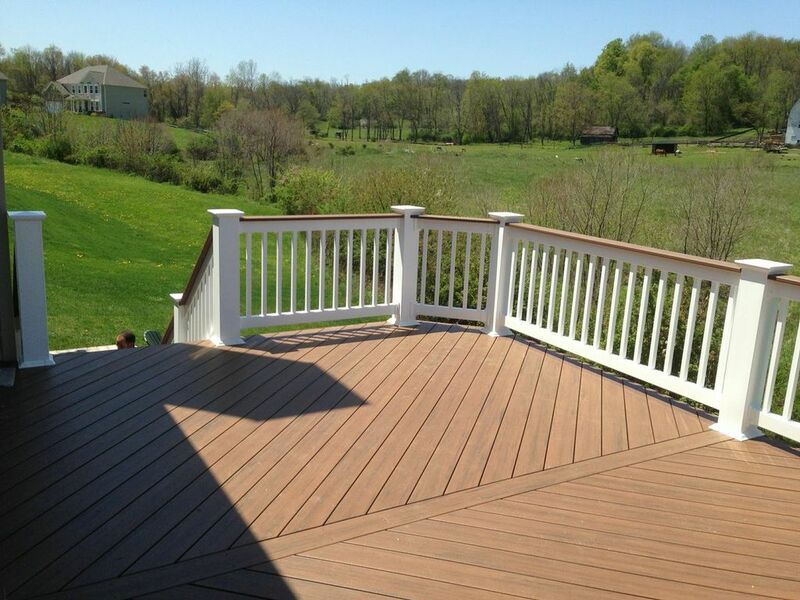 If the orientation of your deck receives a great deal of sun, this is an important consideration. Along with the many browns, there are also a lot of grays, and even reddish hues that resemble rust or terra-cotta tones. These hues are not requested as often as earth tones. 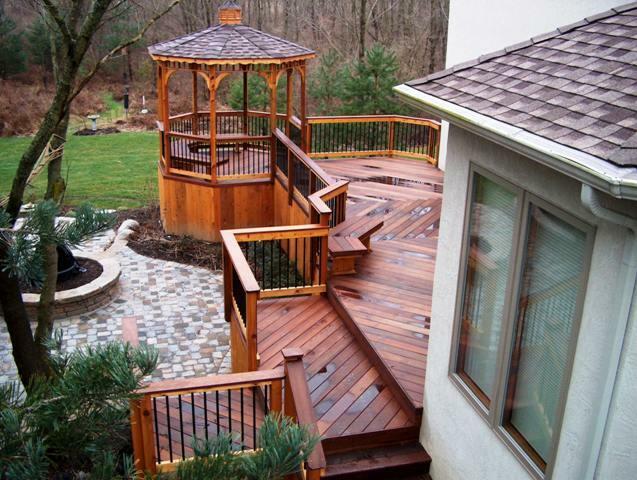 This multi-level deck and gazebo finished in AZEK Brownstone with vinyl rails. AZEK synthetic decking also has a myriad of beautiful hues to choose from when considering color selections. One of their most popular colors is Acacia which is part of their beautiful Brownstone collection. Acacia is a darker brown with all the undulation and streaking that closely matches natural wood. Another great color by AZEK is Brownstone from their Harvest collection. Brownstone incorporates the best of both worlds by covering the realm of both gray and brown in this color. It makes a fabulous choice for contrast and complimentary color selections. If you really are set on exactly matching your deck to the color of your home, you may consider choosing an all wood product as opposed to a synthetic deck. With wood, you can match it easily to any color by simply applying stain. Wood is also a less expensive investment to make when compared to synthetics. If you do however choose an exotic hardwood such as Ipe, then it is likely the price point will be about the same as synthetic. Exotic hardwoods have a lot of character including wood graining which resembles the graining and details of an interior walnut hardwood floor. These woods are dense and require more labor, which can be more expensive, because the holes have to be pre-drilled prior to installation. Ipe exotic hardwood deck in Columbus, OH. All wood has to be stained or sealed. It’s never a good idea to paint a deck. Painting a deck can result in bubbling and it will also peel off very quickly, just imagine what our interior walls would look like if we walked on them?! 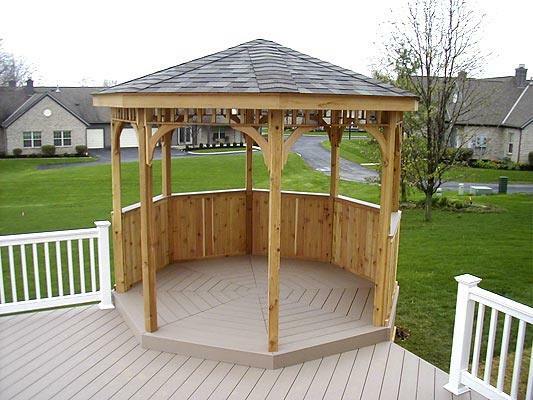 We urge you to have your outdoor living structure professional steer you in the right direction to make the most informed decision on choosing your deck’s color. Remember, if you find a color you like there are always ways to bring your home’s color into your space. Whether you apply your home’s color to vertical accessories or by matching your house or house trim, there is always a fabulous way to pull it all together. 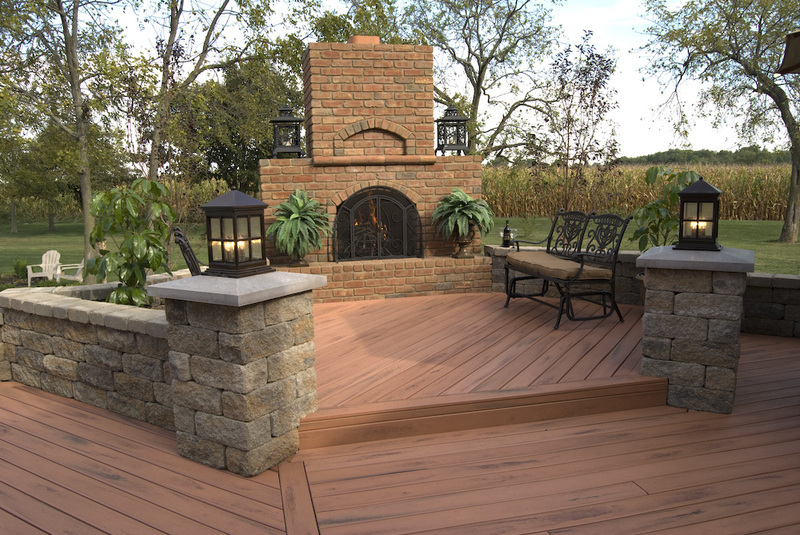 You can see great examples of the magic of color by visiting our composite and PVC deck gallery, and our wood deck gallery, located on our website.